Driftless Brewing Company has high hopes to build a reputation as a craft beer destination. Established in 2014, it initially operated a one-barrel brewing system out of a former grocery store in Soldiers Grove, a village in Crawford County. It sold their beer out of a makeshift taproom and a few local businesses. But the brewery is set to grow considerably with a $1.2 million expansion to a 15-barrel system and 49-seat tasting room in the works, funded by private investors, bank and business development loans, and a grant from the Wisconsin Economic Development Corporation. "Even though we're in a town of less than 600 people, we're going to succeed in having a bigger brewery to get us out into Wisconsin on a larger basis," said Cynthia Olmstead, business and operations director at Driftless Brewing. "We'd like to fulfill demand from La Crosse to Milwaukee, and to bring people into town through the taproom. We'll be bringing a huge amount of people into Soldiers Grove, and that's really exciting," she said. Driftless Brewing has built close connections with others in the Soldiers Grove community who support its efforts to expand, and in turn, build the local economy. "We always try doing and looking and promoting business in our area. And we'll help you get started so we can create businesses in a small town. Well, small towns are losing that," said Soldiers Grove village president Steve George in an interview with Wisconsin Public Television. Olmstead noted how she's already seen positive impacts that the brewery has had in the community. Residents are "beyond thrilled to have a small taproom in their tiny town," she said. And visitors are "thrilled to come and support a brewery steeped in values of good environmental practices that uses Wisconsin ingredients," she added. Olmstead said she's also seen motorcycle groups, car clubs and other groups visit Soldiers Grove just to stop by Driftless Brewing, which gets visitors from Chicago, Minneapolis, Iowa City and elsewhere around the Midwest. One effect is related to building regional supply chains. Craft breweries increasingly aim to use locally sourced ingredients from around the state in their beers. 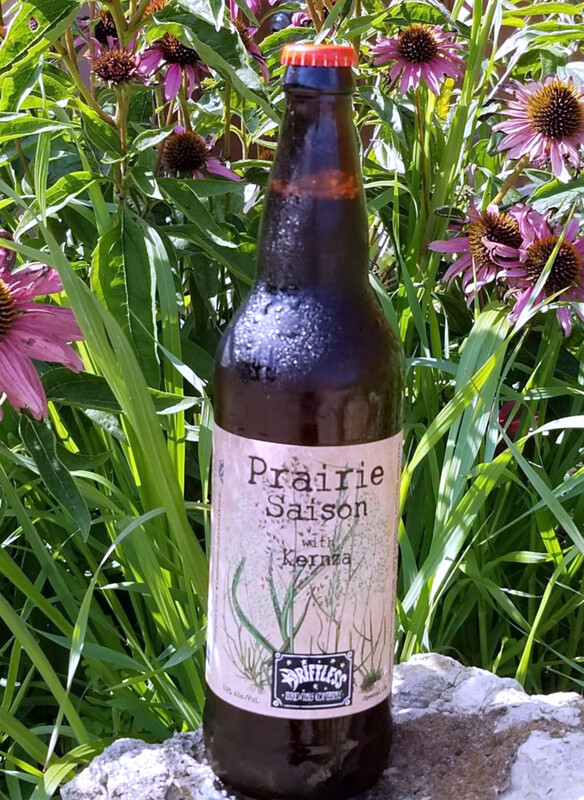 Driftless Brewing uses 95 percent local or regional ingredients, sourcing most of their hops and malt from inside Wisconsin, as well as fruit, honey and other ingredients for seasonal beers. "Sometimes we just pick the fruit ourselves," said the brewery's business director Cynthia Olmstead. "Being local is part of our brand now." Driftless Brewing sources nearly all of its ingredients from within Wisconsin, including all hops and malt it uses. "Craft brewing is creating its own economy," said Olmstead. "Whether it's renovating a neighborhood in an urban area, or places like us that haven't had a whole lot of economic development." Editor's note: This article was updated with additional information about Driftless Brewing's expansion, as well as with a video segment from the Wisconsin Public Television documentary Portraits From Rural Wisconsin. Kristian Knutsen contributed to this report.